Success! Khaing from Burma raised $414 for a CT scan. Khaing's treatment was fully funded on November 20, 2016. Khaing successfully received a CT scan. Khaing received her CT scan. Unfortunately, the result confirmed that she has cancer in her cervix area. While she is unhappy about the result, she is thankful to finally know her diagnosis and is looking ahead to what’s next for her treatment. “Thank you so much to all the donors who helped me paying for my CT scan,” says Khaing. Khaing is a 48-year-old woman from Burma. She lives in a small town about thirty minutes from the border with Thailand, where she and her husband moved twelve years ago in search of better job opportunities. They have two children who are both in school. Her 19-year-old daughter is in the tenth grade. Her 25-year-old son attends the university in Chiang Mai on a scholarship, which makes Khaing very proud. About six months ago, Khaing began to experience some uncomfortable symptoms. She developed lower back and abdominal pain. Her use of traditional medicine only alleviated the symptoms for a short time. As the pain increased, she lost the ability to walk long distances, eat and sleep well, and even to sit for long periods of time. Eventually, Khaing visited a Watsi medical partner’s hospital, Mae Sot General Hospital, where she received blood and urine tests and an ultrasound. Khaing learned that she has cervical cancer. Now, she needs a CT scan to determine the stage of the cancer and possible treatment. Unfortunately, Khaing and her husband cannot afford the cost of healthcare. Though she used to work as a day laborer, Khaing’s health condition has made her unable to work for several months. They send most of their income to their daughter for dormitory fees and pocket money. Khaing needs Watsi’s help to pay for the $414 scan. Khaing is increasingly worried about her condition and the effect it has on her family. She says, “My daughter’s education is very important to me.” She hopes that, like her son, her daughter will attend the university in Chiang Mai. For this reason, Khaing is eager to recover so she can resume work and support her family’s dreams. Khaing's case was submitted by Bue Wah Say at Burma Children Medical Fund in Burma. Khaing was submitted by Bue Wah Say, Project Officer at Burma Children Medical Fund, our medical partner in Burma. Khaing received treatment at Mae Sot General Hospital. Medical partners often provide care to patients accepted by Watsi before those patients are fully funded, operating under the guarantee that the cost of care will be paid for by donors. 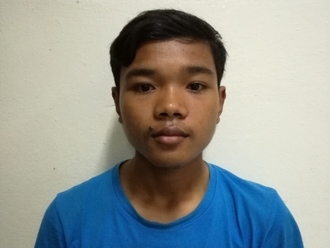 Khaing's profile was published to start raising funds. Khaing's treatment was fully funded. Khaing's treatment was successful. Read the update. Thomas is a watchman who takes care of his wife and children from Malawi. For six months, Thomas has had a left inguinal hernia. He experiences a lot of pain, which makes him unable to work. Fortunately, on March 19, he will undergo hernia repair surgery at Nkhoma Hospital, our medical partner's care center. Our medical partner, World Altering Medicine, is requesting $334 to fund Thomas's surgery. The requested money pays for supplies, medications, and six nights of hospital stay. 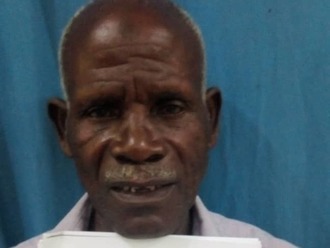 He says, "My family is relived that we have found help for surgery through this program. Many, many thanks!"